Every other Wednesday at school they make cinnamon rolls for breakfast. It’s always one of my favorite breakfast days. I get one every time and I eat it happily but some days they are better then other. This week they were soft, fluffy, and covered in frosting. Some days they are small, a little dry, and don’t have much icing on them. Regardless, I still love them and enjoy them. I haven’t really made many cinnamon rolls myself at home. 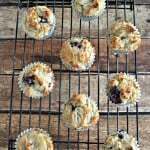 Sometimes I’ll buy the ones that come in a can in the refrigerator and heat them up in the oven as a treat but I usually don’t have the time to make them from scratch. 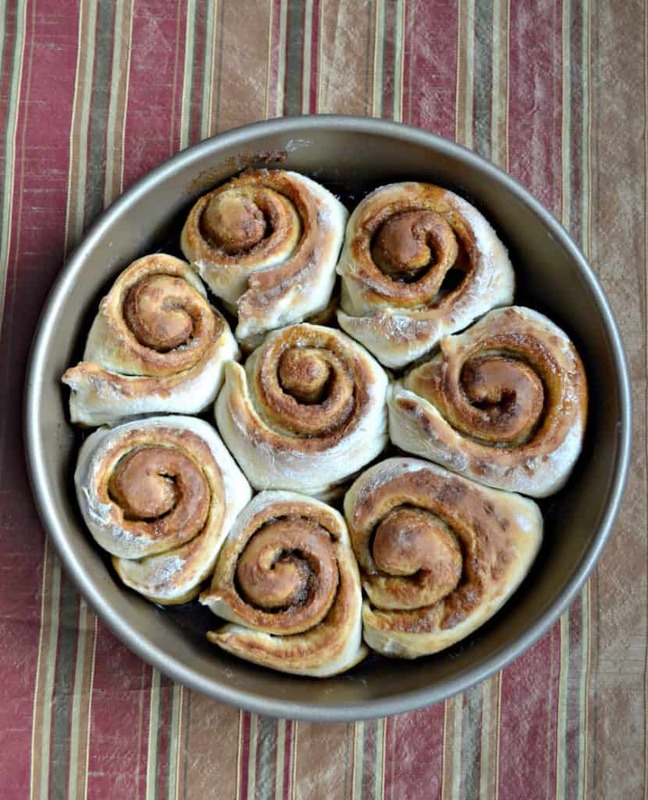 This recipe from cinnamon rolls is semi-homemade but they are amazing. Whenever I bake at home I rarely eat an entire cookie, slice of cake, or anything else I make but in this case I ate the whole cinnamon roll and didn’t even think twice about it. Instead of making the dough from scratch I used frozen bread dough and went from there. After thawing and letting it rise I filled it with a brown sugar and cinnamon filling and rolled it up. I let the dough rise a little more then baked them in the oven. Once they came out I frosting them with the best vanilla cream cheese frosting I’ve made in a long time. 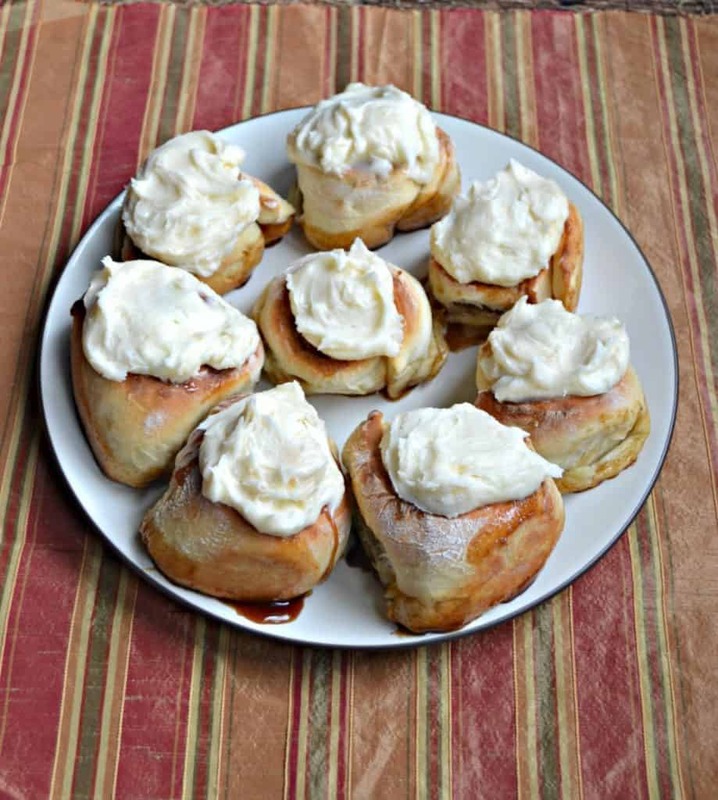 These cinnamon rolls are awesome. The are soft, fluffy, and full of cinnamon goodness. The frosting is sweet, creamy, and pairs so well with the rolls. 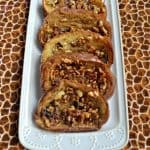 Semi-homemade Cinnamon Rolls would be a delicious baked good to make for a breakfast or brunch and they are perfect for Mother’s Day. 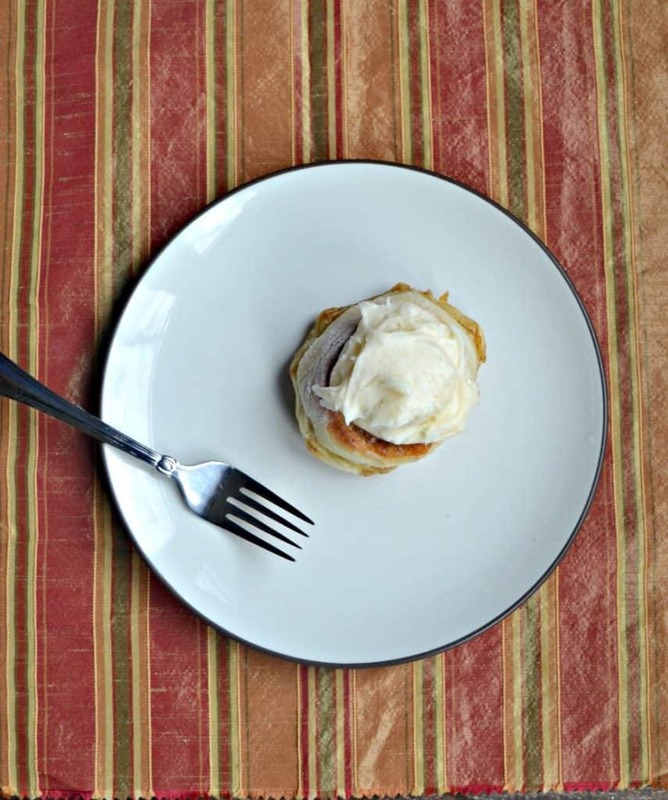 A delicious cinnamon roll made from frozen bread dough then topped with vanilla cream cheese frosting. Thaw the bread dough in a loaf pan and allow it to rise. Turn the dough onto a lightly floured surface and roll into a rectangle. In a small bowl combine the butter, brown sugar, cinnamon, and salt. Mix well. Spread the brown sugar mixture onto the dough leaving a half inch edge on all sides. Roll the dough starting at one of the long ends. When you get to the end pinch the seams closed. 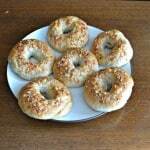 Cut a half inch off each side of the dough then cut the dough with a serrated knife into 8 pieces. Each piece should be about 2 inches thick. Place the cinnamon rolls in a cake pan and cover with plastic wrap. Allow to rise for 45 minutes. 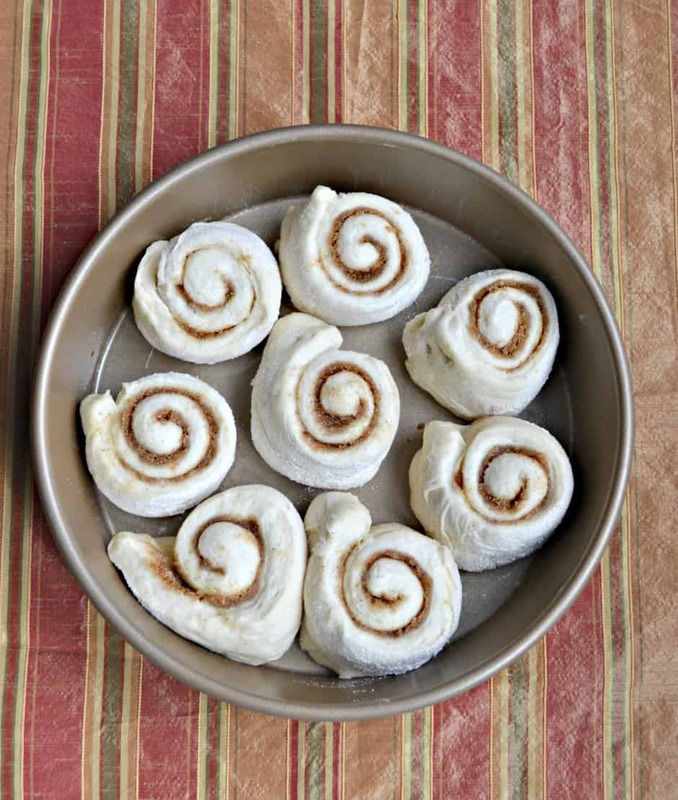 Bake for 17-20 minutes or until the cinnamon rolls are brown. Remove from oven. To make the frosting beat the cream cheese and butter in a large bowl with a mixer on medium speed. Add in the powdered sugar a half cup at a time and mix until smooth. Stir in the vanilla. Frost the still warm cinnamon rolls and enjoy. I love that thick frosting and that oozing cinnamon syrup. They sound delicious. What beautiful cinnamon rolls! My mother in law used to make cinnamon rolls. I miss them. This is the only kind of breakfast sweet that the hubs will eat. I should make these for Easter.